This shows the area around the Salton Sea Units 1-5 (Units 1-2 lie on the west side of the light square in middle). Left-1992: The plant site is very nearly surrounded by the sea on the north and west sides. Right-2017: On the north side, the sea has receded almost to the NW corner and has crept up the west side. The promontory to the north has been filled in on the west side and the small bay at the upper right has begun to fill in. This shows a close-in view of the power plant sites. On the north side the sea has receded about 1000 lateral feet over the period from 1992 to 2017. This view is about 3.7 miles northeast of the Salton Sea power plants and shows the mouth of the Alamo River. Left-1992: The small white piece of land at the upper center is Mullet Island; the larger body of land just south of the river is Red Hill, essentially an island connected to the mainland by a narrow causeway in 1992. Right-2017: The receding sea has left a sizeable new land mass on the south side of the river that completely surrounds Red Hill making it an actual part of the mainland. On the north, Mullet Island is now part of that same landmass that is divided by the Alamo River; the new land now defines a cove (center) with a very narrow outlet to the sea on its north side. The John L. Featherstone power plant can be seen at the right-center of the 2017 image. This is an area about 3.5 miles southwest of the Salton Sea power plants and shows the New River delta. The recession of the sea has greatly enlarged the land area on both sides of the river. Dr. Ron DiPippo is a world authority and consultant on Geothermal Power Plants. He is Chancellor Professor Emeritus of Mechanical Engineering, former Associate Dean of Engineering at the University of Massachusetts Dartmouth (UMD), a visiting Research Professor and Visiting Lecturer at Brown University in Providence, Massachusetts Institute of Technology (MIT), as well as a visiting lecturer at the School for Renewable Energy Science at the University of Akureyri, Iceland. 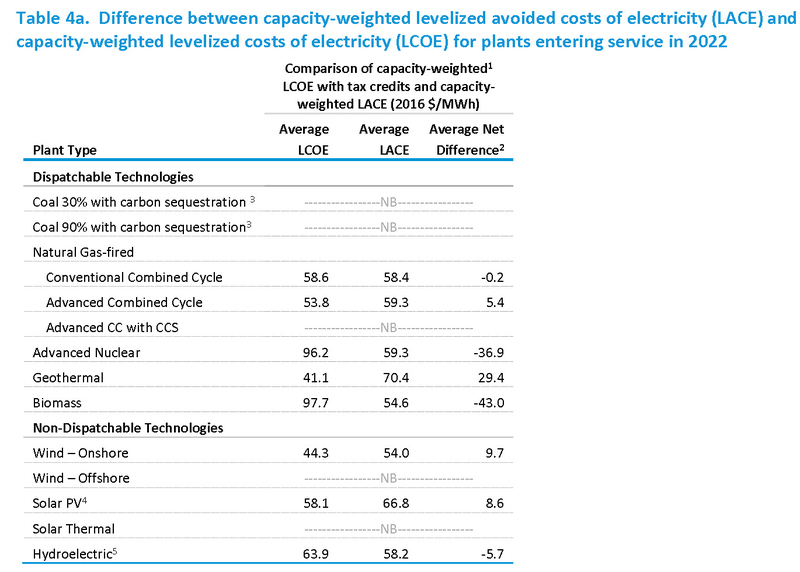 This paper presents average values of levelized costs and levelized avoided costs for generating technologies entering service in 2019, 2022, and 2040 as represented in the National Energy Modeling System (NEMS) for the Annual Energy Outlook 2017 (AEO2017) Reference case. The average net differences shown in the table above are for plants coming online in 2022. The weighted average net difference is above zero for geothermal, suggesting that the technology is being built in regions where it is economically viable. Indeed, it has the greatest average net difference suggesting it is the most economically viable energy technology. As the best, least-cost resources are exploited, development will be forced into less favorable areas, potentially resulting in higher development costs, higher costs to access transmission, or access to lower-performing resources. Changes in the value of generation are a function of load growth. However, renewables such as wind and solar that may show strong daily or seasonal generation patterns may see significant reductions in the value of their generation as these specific generation periods become more saturated with generation and new generation must compete with lower-cost options on the dispatch merit order. President Uhuru Kenyatta Friday broke ground for the construction of the Olkaria V power project which will produce 158 MW of electricity. The President at the same time commissioned 14 wellhead units producing a total of 75 MW of electricity. The ‘wellhead unit’ is a unique technology developed by Kenyan engineers to harness geothermal power, which has reduced the duration between the first drilling of a well and installation of a geothermal plant from five years to two years. President Uhuru Kenyatta said Kenya has one of the largest reserves of geothermal energy and more plants will be constructed to harness the power for the benefit of Kenyans. “That this form of energy is not subject to the vagaries of the weather, and that it runs at a respectable rate more than 90pc of the time every year, means that we can bring reliable power to every Kenyan home,” said the President. The Armenian ministry of energy infrastructure and natural resources will announce in late 2018 a tender for the construction of a geothermal power plant with a capacity of 30 MW in southern Armenia near the town of Sisian, Deputy Minister Hayk Harutyunyan told journalists on Friday. According to the deputy minister, exploratory drilling confirmed the availability of geothermal potential. "We drilled two wells -1,495 and 1,682 meters deep and we can talk about the availability of a geothermal resource, based on which we can build a station that will use underground hot springs," said Harutyunyan. Chevron Corporation today reported earnings of $2.7 billion ($1.41 per share – diluted) for first quarter 2017, compared with a loss of $725 million ($0.39 per share – diluted) in the 2016 first quarter. Included in the quarter was a gain of approximately $600 million from the sale of the Indonesia geothermal business. Foreign currency effects decreased earnings in first quarter 2017 by $241 million, compared with a decrease of $319 million a year earlier. International upstream operations earned $1.4 billion in first quarter 2017, compared with a loss of $609 million a year earlier. The increase was due to higher crude oil realizations and a gain of approximately $600 million from the sale of the Indonesia geothermal business. Nevada geothermal has announced they will sell a district geothermal heat energy plant located in the shadow of the Peppermill Spa and Resort in Reno. A letter to residents announced Cyrq Energy, headquartered in Salt Lake City, Utah, will take over the system. 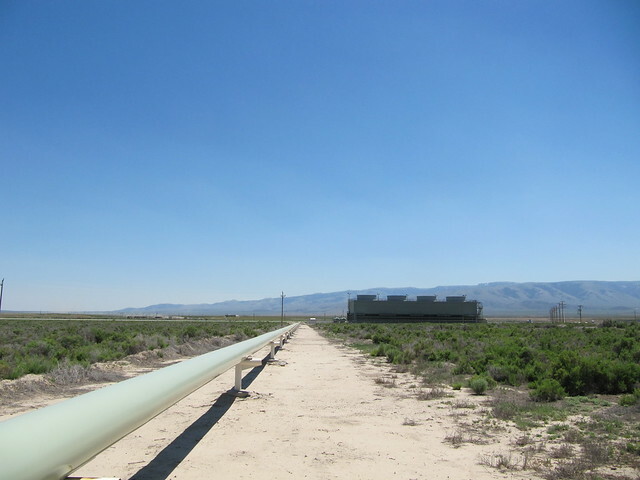 Company attorney Curt Ledford said Nevada Geothermal was looking for a buyer "that would propose a plan to keep the geothermal system operating. We think Cyrq has that capability." Cyrq Energy is no stranger to the alternative energy industry. At a meeting on March 8, the company's Vice President of Operations and Safety spoke to residents about Cyrq's interest in buying the geothermal plant. Monte Morrison said, "we also have power plants in Utah and New Mexico." The South Reno geothermal plant supplies just 104 homes, but it's actually the largest residential geothermal district in all of Nevada. Today, the U.S. Trade and Development Agency signed two grants that leverage U.S. technology solutions and investment to increase access to affordable, reliable electricity in Kenya. USTDA signed a $500,000 grant with the Kenya Electricity Generating Company Limited (KenGen) for a study assessing the use of U.S. technology solutions to increase energy efficiency and power production. Nevada-based energy equipment manufacturer, Langson Energy, Inc., is conducting the study in partnership with KenGen. KenGen’s cash will see it deploy equipment in Olkaria power plants on a pilot basis to tap more electricity from geothermal wells. “The equipment will enable us tap the total flow of geothermal energy since it uses both steam and the liquid from wells,” said KenGen managing director Albert Mugo. The California Energy Commission (CEC) today adopted a three-year strategic investment plan for its clean energy research and development program. The Electric Program Investment Charge (EPIC) 2018-2020 Triennial Investment Plan is a proposed strategy for administering research and development funds. The Energy Commission invests more than $120 million annually through EPIC for innovations and concepts that help California meet its energy and climate goals. 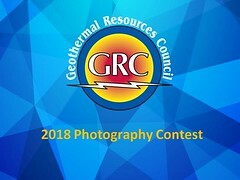 One funding initiative will lower the cost, improve the efficiency, and advance the potential for the flexible operation of geothermal in support of high penetration of renewable energy. elements from buildup of these condensates (such as solid sulfur for agriculture use or metals for industrial application). EPIC was established by the California Public Utilities Commission (CPUC) in 2011. The plan, which is the third since the program’s inception, will be submitted to the CPUC for adoption. The Imperial Valley Economic Development Corporation (IVEDC) held the tenth annual Imperial Valley Renewable Energy Summit March 15-17, 2017. 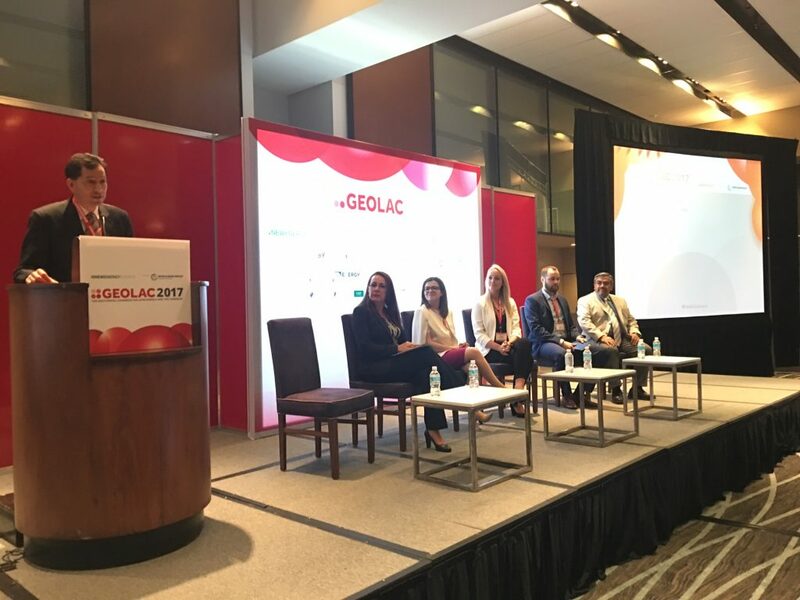 The Geothermal Resources Council (GRC) attended representing the geothermal energy community. The following are some of the presentations from the conference, especially relating to the development of geothermal energy in the area. El Centro de Energía (CE-FCFM), en conjunto con el Centro de Excelencia de Geotermia de los Andes (CEGA), de la Facultad de Ciencias Físicas y Matemáticas de la Universidad de Chile, han desarrollado un proyecto basado en la Estrategia Regional de Consumo y Producción Sostenibles (CPS) en zonas rurales de Chile. Esta iniciativa consiste en la construcción de un sistema de secado de leña y un invernadero que utilizará energía geotérmica de forma directa, permitiendo mejorar las condiciones de vida de una comunidad de manera sustentable. The Energy Center (CE-FCFM), together with the Center of Excellence of Geothermal Energy of the Andes (CEGA), of the Faculty of Physical Sciences and Mathematics of the University of Chile, have developed a project based on The Regional Strategy for Consumption and Sustainable Production (SCP) in rural Chile. This initiative consists of the construction of a drying system of wood and a greenhouse that will use geothermal energy directly, allowing to improve the living conditions of a community in a sustainable way. USA: California: Problem With Too Much Variable Renewable Energy in Golden State? All the solar and hydropower have led to a new phenomenon – negative prices in the middle of the day. The blue line in the graph above depicts day-ahead prices for Sunday, April 9 in Southern California. For comparison purposes, the red line depicts day-ahead prices at the same location on the second Sunday in April 2012. Looks like another version of the duck, albeit drawn by a preschooler, and this time with price on the vertical axis. Strong growth in wind and geothermal electricity generation has led to significant economic impacts, according to a Stats NZ report published today. Geothermal’s contribution to New Zealand’s total renewable energy generation increased from 11 percent in 2007 to 21 percent in 2015. Over the same period, its value rose from $1.3 billion to $2.9 billion. Geothermal increased from 3,210 gigawatt hours to 7,091 gigawatt hours (8 percent to 17 percent of net generation) over the period. U.S. Geothermal Inc. has provided an update on its Raft River expansion project. Phase II of the ongoing plan to increase the output at Raft River from its current generation level of 10 MWs, up to its contract maximum of 13 MWs, commenced in March with the successful installation of the pump in well RRG-5. Production from RRG-5 started on March 21, 2017 and is currently operating at the rate of 1,100 gallons per minute. The addition of this flow to the plant has increased net power production by approximately 0.71 MWs. To date, the reservoir response has been significantly better than projected, with minimal drawdown in well RRG-5 and no impact to water level in the adjoining wells. The well temperature is currently stable at over 247°F. The next step to optimize output from the wellfield is to increase the capacity of the injection system. After an injection pump is upgraded, a further increase in fluid flow to the plant is expected, which will result in a corresponding increase in generation, plus allow for additional production well increases. AP Renewables, Inc. (APRI), the renewable power unit of Aboitiz Power Corp., on Thursday launched the newly restored 6 MW binary plant at the Makiling-Banahaw (MakBan) geothermal project in Sto. Tomas, Batangas. APRI completed the restoration of Binary Plant 1, which uses excess heat from spent brine to generate clean energy for the Luzon grid, in July 2016. The plant restoration cost P107 million, lower than the initial budget of P130.7 million. The additional renewable capacity was added to the Luzon grid by the end of 2016. The plant is one of three binary cycle power plants in the MakBan Geothermal Project complex that the company had acquired in 2009, and the only one found fit for rehabilitation. At the same time, Mr. Moraza said there is potential to source 20 to 24 MW from their geothermal power plant located in Tiwi, Albay. “We’re actually doing the feasibility study now, we have the costing already... They’re developing now,” AboitizPower President and Chief Operating Officer Antonio R. Moraza said. Southern California Edison customers in Los Angeles County soon will have an alternative way to get their electricity — from a new government-run utility promising lower bills and easier access to clean-energy options. The county Board of Supervisors on Tuesday unanimously approved the public energy program, which they say will help reduce power bills by as much as 5% below what customers pay Edison. Residents and businesses will have the choice to stay with Edison or join the county’s utility. In the last few years, more communities have been considering such community choice aggregation programs, also known as CCAs. Los Angeles County began studying the concept about two years ago, and its program has the potential to become the state’s largest. The L.A. County utility, to be governed by the Los Angeles Community Choice Energy Authority, is expected to start providing electricity next year. Customers who switch to it will be able to choose whether they want power from solar, wind or another clean energy source (geothermal). Those decisions by customers will influence how much green energy — and what kind — the county invests in. The Oregon House has passed a 10-year ban on hydraulic fracturing, or fracking. Industry officials say the practice has been used for more than 60 years and is safe. “Hydraulic fracturing has been demonstrated, across multiple state and federal jurisdictions, to be a safe and effective technology that can be used to increase the recovery of hydrocarbons and deliver significant benefits, without adverse efforts, said Brian Doherty, a lobbyist for the Western States Petroleum Association during a hearing on the bill. House Bill 2711 would put a 10-year moratorium on hydraulic fracturing for oil and gas exploration and production. It would exempt drilling required for natural gas storage wells and geothermal wells, as well as for some unused coal bed methane extraction wells that currently exist near Coos Bay. Thai listed renewable energy firm BCPG (ex. Bangckak Petroleum Public Company Limited) has secured the approval from the Board of Directors to acquire one-third stake in Indonesia-based Star Energy Group for not exceeding $357.5 million. Both companies expect to enter into the transaction in the second quarter of this year, according to BCPG’s filing on Wednesday. Following the acquisition, BCPG will hold stakes in three geothermal power plants in Indonesia with a combined production capacity of 182 MW. The three projects are top geothermal power plants in Indonesia. The largest plant is located in Sukabumi City in West Java with the installed capacity of 377 MW. The other two include the 227 MW geothermal power plant at Wayang Windu and the 271 MW Darajat project in Garut and Bandung. In a ceremony today in conjunction with the Geothermal Conference for Latin America and the Caribbean, the representatives of the Iceland Geothermal Cluster, Vidar Helgason and Dr. Luis Alonso Gallardo, the Director of the Earth Science Division of Mexican El Centro de Investigación Científica y de Educación Superior de Ensenada (CICESE) signed a cooperation agreement. The first geothermal district heating network in Spain may be installed in Orense, the capital of the province of the same name and the third largest city of the Autonomous Community of Galicia. This one day professional training course will combine theory with practical guidance to improve and enhance your skills in geothermal system design and management. Renewable Iran 2017 is an umbrella name for an annual large-scale expo covering the following renewable energy sectors: solar, wind, hydro, geothermal, bioenergy/waste management. Over 100 companies involved in the renewable energy deployment will showcase at the exhibition allowing you to meet the most relevant and experienced players within RE sector in Iran. 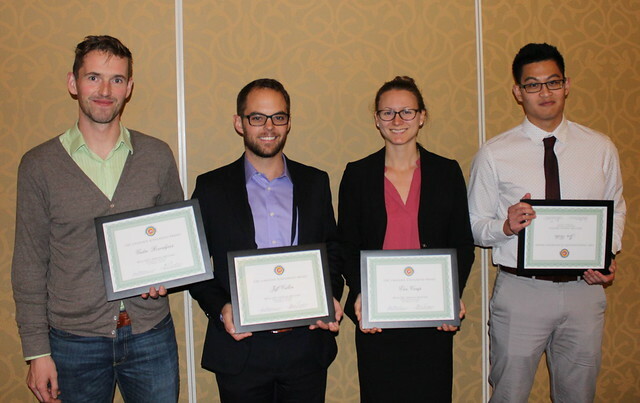 The GRC Uniandes student chapter is one of 8 chapters established by the Geothermal Resources Council for the fellowship of students involved in geothermal energy around the world. The group based in Bogotá are especially active! 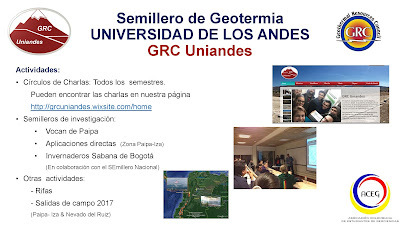 The chapter was set up within the Department of Geosciences at the Universidad de los Andes in Bogotá, Colombia. The chapter has created a website to show-off their great work. The ETC today launched its "Better energy, Greater prosperity" report which argues that it is technically and economically feasible to grow economies and provide affordable, reliable, clean energy for all while meeting the Paris objective of limiting global warming to well below 2°C. 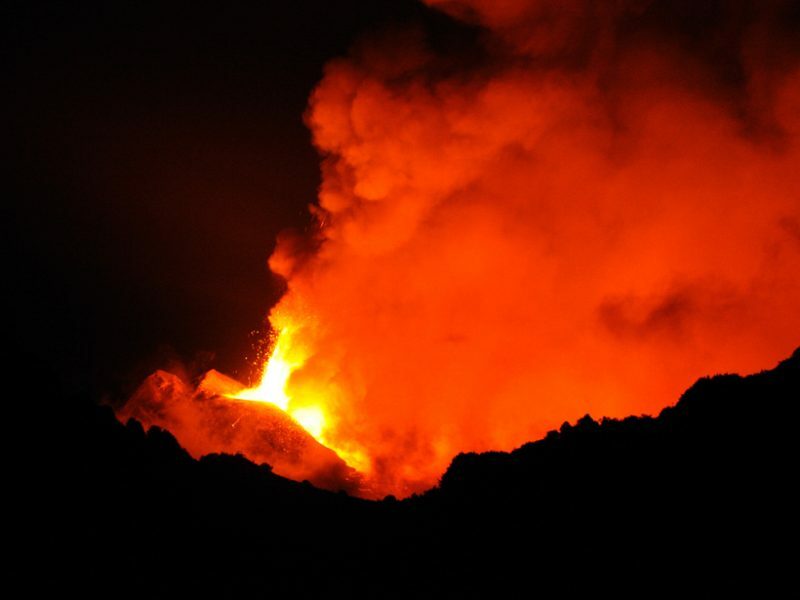 A two-step model for dynamical dike propagation in two dimensions: Application to the July 2001 Etna eruption - V. Pinel, et al. Journal of Geophysical Research: Solid Earth, 25 February 2017. U.S. Geothermal Inc. today announced that the company will not extend the employment agreement for CEO Dennis Gilles beyond its current term expiring on July 18, 2017 and are discussing a role for Mr. Gilles as an outside advisor to the company after his agreement expires. "It has been an honor to work with the talented employees of U.S. Geothermal these past 4 years. The company is on a strong growth path as it continues to execute on its available development projects and examine numerous strategic opportunities. I look forward to being an ongoing part in that growth story as an outside advisor to the company," said Mr. Gilles. The Board of Directors has established an Executive Committee that, in addition to overseeing the search for a new CEO, will guide the company on key strategic initiatives and capital allocation. The American Association of Petroleum Geologists (AAPG) Europe Region is delighted to bring you this exciting new geosciences technology workshop at Durham University. The aim of this meeting is to explore the potential for cross-over technology and cross-over experience between the petroleum and geothermal industries and to examine what opportunities exist for improving the efficiency and effectiveness of both industries, maintaining delivery of energy to society and reducing the impact on the Earth of doing so. An Icelandic exploration company is looking into tapping an enormous new source of green renewable energy in Iceland: Submarine geothermal energy. The company envisions using the energy to generate electricity on off-shore geothermal power plants on platforms not unlike those used in off-shore oil drilling. Flanders’ energy minister hopes to boost the geothermal sector with a guarantee scheme for companies that invest in deep geothermal energy projects. Drilling for deep geothermal energy requires major investment, with significant risk that it will generate less energy than hoped for as there is still a lack of detailed knowledge about the local subsurface. “With the guarantee scheme, we hope to convince companies to invest and to facilitate a breakthrough of deep geothermal energy in Flanders,” energy minister Bart Tommelein said. Companies that want to drill in deep earth layers can submit a dossier to the government. If it turns out after drilling that the estimated energy production is not achieved, the government will pay back certain costs. The companies contribute to the scheme by paying a premium. Until now, only the Flemish Institute for Technological Research (Vito) has carried out a trial project on deep geothermal energy in Flanders, with promising results. 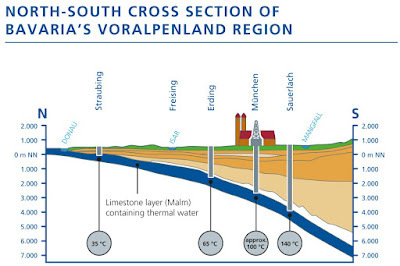 The Kempen region, in the north of Antwerp and Limburg, is the most attractive area for drilling because the hardest layers of rock are deeper there than elsewhere. Indonesia’s Ministry of Energy has raised its target for renewable power generation in the country by 2026, and is now aiming for the sector to deliver 22.5% of the country’s electricity mix by then. This represents an increase of almost 3 percentage points on the previous review of the ten-year electricity supply plan prepared by state power company PLN, a media briefing in Jakarta was told, which targeted a 19.6% green electricity mix. Indonesia has some of the world’s largest geothermal resources, but the sector has been repeatedly stymied by land access issues and opposition from local communities, as well as a lack of exploration finance. As such, its generating capacity remains minimal in comparison. The energy ministry renewables office said in March it was aiming for 4,825 MW from geothermal plants before 2025. At the end of 2016, capacity from operational geothermal projects totalled 1,513 MW. Alla Powers, special collections librarian for Oregon Tech pointed out colored pins dotting a map of Klamath Falls area wells. The framed map outfits a wall located below the Learning Resource Center on the Klamath Falls campus. Each pin on the map identifies a well in Klamath Falls and its range of depths, from zero to 1,800 feet. After the closure of the Geo-Heat Center at Oregon Tech, Powers opted to save the map, and a wealth of other geothermal related books and well logs spanning decades in the university’s geo-heat collection. She and volunteers at the Shaw Historical Library have digitized hundreds of documents, and are working on converting well logs to be accessible online. 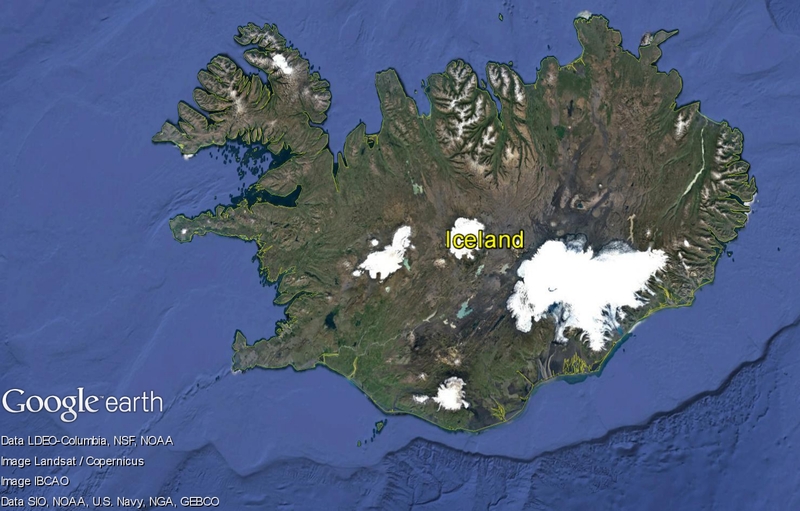 The Icelandic National Energy Authority has granted Scotland-based company North Tech Energy a license to locate and research geothermal energy on the seabed around Iceland. The company’s CEO says it could become one of the biggest energy projects ever embarked upon in Iceland. North Tech Energy ehf. has been granted permits for geothermal research on the sea floor in two locations: one on the Reykjanes Ridge, and the other off North Iceland. CEO Geir Brynjar Hagalínsson told Vísir that the project started out in Aberdeen in 2009, after he attended a respected professor’s lecture on energy matters in the UK. The goal of the research is to find out if the underwater geothermal areas can be used for energy production. Assemblywoman Cecilia Aguiar-Curry has been able to pass a renewable energy proposal despite opposition by state utilities. AB 920 made it out of the Assembly Utilities and Energy Committee this week. If approved the legislation will maintain a place in the energy market for renewable resources such as geothermal, biomass, and biogas. Biomass and geothermal facilities contribute property taxes and royalties to local economies, in addition to being job creators. Tax credits and tax exemptions for renewables like wind and solar, coupled with low labor costs, undercut the market. As a result, over 75 percent of the renewable energy in California comes from wind and solar. AB 920 will help level the playing field so renewable resources that are economic drivers have a fair chance to compete for contracts. Legislation would advance the development of renewable energy by improving the permitting process for geothermal resources exploration in Washington State. Washington Senate Bill 5470 has passed unanimously in both the House and Senate and has been delivered to the Governor's desk for signing. "The public has a direct interest in the safe, orderly, and nearly pollution-free development of the geothermal resources of the state. The legislature hereby declares that it is in the best interests of the state to further the development of geothermal resources for the benefit of all of the citizens of the state while at the same time fully providing for the protection of the environment." "The development of geothermal resources shall be so conducted as to protect the rights of landowners, other owners of interests therein, and the general public. 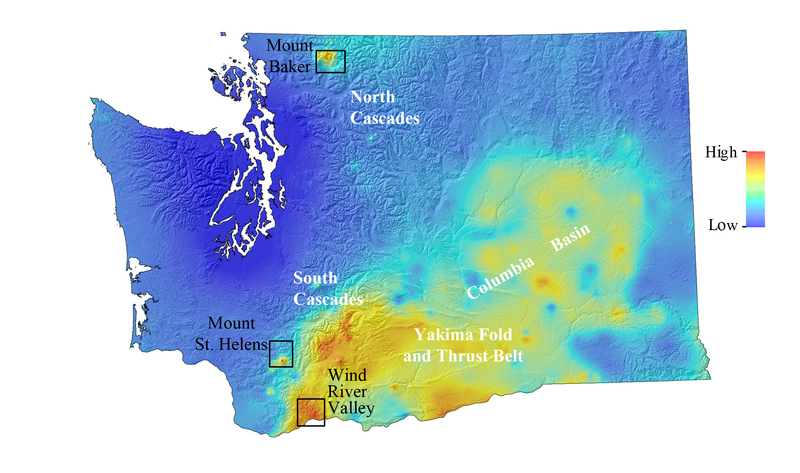 In providing for such development, it is the purpose of this chapter to provide for the orderly exploration, safe drilling, production, and proper abandonment of geothermal resources in the state of Washington." Today, at Earth Day Texas 2017, the U.S. Department of Energy (DOE) announced the 38 small businesses that will collaborate with national lab researchers through the Small Business Vouchers (SBV) pilot. SBV facilitates access to the DOE national labs for American small businesses, enabling them to tap into the intellectual and technical resources they need to overcome critical technology challenges for their advanced energy products and gain a global competitive advantage. Eight DOE national laboratories will receive funding to partner with 38 competitively selected small businesses across the country. One collaboration in the geothermal area will integrate a solar topping cycle at the U.S. Geothermal Inc. Raft River Geothermal Power Plant in Idaho. Two national laboratories will work with small businesses on this project. With support from the Bavarian Department of Commerce (StMWI), a regional energy concept has been developed by the South-East Bavaria Regional Planning Association (RPV18). Within the framework of the project, possible financial savings and reductions in CO2 emissions were identified. ERDWERK GmbH is responsible for investigating the deep and surface geothermal potential. The project is well underway and the initial results indicate that good to very good thermal and/or electrical potential from the deep and surface geothermal resources exist across the entire region. The analysis shows that deep and near-surface geothermal energy can be used almost anywhere in the entire planning network for electricity generation and / or heat supply. The different uses in the municipalities can be attributed both to the depth of the thermal deepwater aquifer (here the Malm-Aquifer) as well as to regional differences in the geothermal gradient (elevation of the temperature increase with depth). Localities in the alpine region are predominantly located in geologically favorable valleys. Heating and cooling with geothermal energy near the surface is possible in RPV 18 as a whole. Meeting future energy demand for the United Kingdom (UK) will require new technologies. These may include making use of the Earth's subsurface - using methods such as harnessing geothermal energy, shale gas extraction, and carbon storage - in an environmentally sustainable way. This means we need to understand the impact of these technologies on the environment. The Natural Environment Research Council (NERC) has confirmed £31 million to build the UK Geoenergy Observatories. Researchers will carry out scientific monitoring and observation to establish the state of the current environment and determine if these technologies have a significant effect. A site in Cheshire is a potential location for monitoring and observation of shale gas extraction and carbon capture. The second location is intended to be in central Scotland and focus on geothermal energy. The Ministry of Economic Affairs of Taiwan yesterday established the National Renewable Energy Certificate center as part of efforts to attract foreign enterprises that pledge to use “renewable” energy when investing or placing orders with local manufacturers. RECs, also known as “green” tags, provide proof that an enterprise’s electricity was generated from an eligible renewable energy source. The US, EU, Japan and Australia also have institutions to issue RECs. Certifiable renewable energy sources include solar, wind, biomass, hydroelectric and geothermal power, bureau Director-General Liu Ming-chung (劉明忠) said. Vancouver-based Bluestone Resources Inc. has announced the closing of its previously announced private placement financing. The company is also pleased to announce that it has entered into a definitive agreement with Goldcorp Inc., also based in Vancouver, and its affiliates in respect of the previously announced acquisition of the Cerro Blanco Project and the Mita Geothermal Project. Further to the company's press release dated January 11, 2017, the company is pleased to announce that it has entered into a definitive agreement with Goldcorp and its affiliates to acquire 100% of the Mita Geothermal project located in Guatemala, which is owned by Goldcorp's indirect wholly-owned subsidiary, Geotermia Oriental de Guatemala S.A.
First she did a degree and a PhD, then she became part of Enel’s big team. A chemical engineer, Marianna Zeppieri has always had a clear idea of her future: “On the day of my job interview, I asked specifically to work in the world of renewables and to have work experience abroad. I’m fascinated by the idea of getting to know other cultures and to understand realities that are very different from ours”. Her big break came in July 2015, when we launched the works at Cerro Pabellón, our geothermal plant located at 4500 metres above sea level in the Atacama Desert. Marianna didn’t think twice: when the project was approved, she packed her bags and left her beloved Rome. She’s now lived in Chile for almost two years as Project Engineer at Cerro Pabellón. Indonesia and the US signed nine business agreements here, Friday, following US Vice President Mike Pence's visit to the country from April 19 to 21. One regards cooperation between PT PLN and Halliburton for the development of geothermal power plant in Tulehu, Ambon, and long-term strategy for the development of geothermal energy. Announcement had also been made regarding the cooperation between PLN and Ormat Technologies for the conclusion of 3x110 MW PLTP (geothermal plant) Sarulla with an investment of around US$1.7 billion. Of the total investment, US$260 million would come from Ormat. energy, and vehicle electrification a national priority, states can be a consistent, powerful, positive force as well. solar capacity per household, energy savings, clean energy jobs, renewable electricity standard targets, ease of corporate renewable energy procurement, and carbon reduction targets.